CLOSEOUTS . 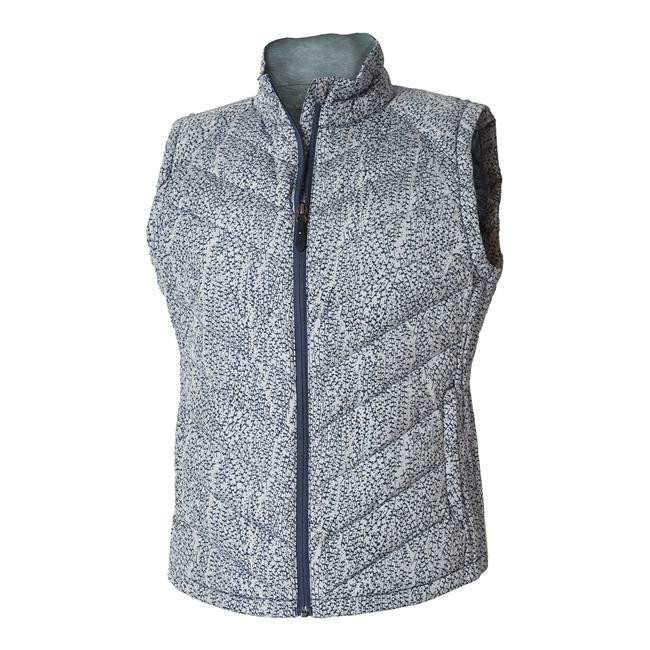 Reminiscent of a rainstorm blowing sideways, the print of Mountain Hardwearand#39;s Ration Q.Shieldand#174; down vest is subtle yet striking. 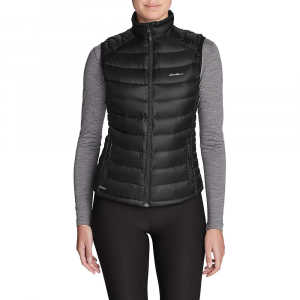 Fortified with Q.Shieldand#174; 650 fill power down insulation, this low-bulk midlayer features flattering, angular channels that help the down retain loft and warmth, even when wet. Available Colors: STEAM, BRIGHT BLUET. Sizes: XS, S, M, L, XL. 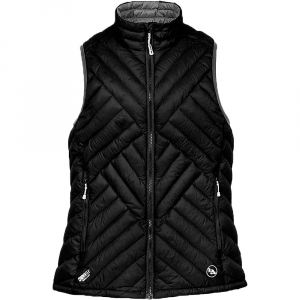 Mountain Hardwear Women's Ratio Printed Down Vest - The Women's Ratio Printed Down Vest by Mountain Hardwear works great as a stand alone piece, or as layering on those extra cold outings. With the high-loft versatility of Q.Shield DOWN 650-fill insulation, it resists heat-robbing moisture and retains maximum loft even when wet. It has larger channels to hold more down and trap essential heat for increased comfort in damp conditions. 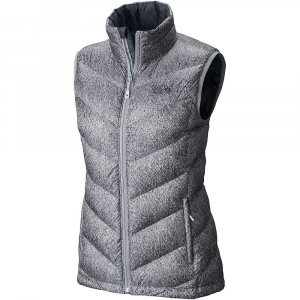 A soft and luxurious high pile Velboa lining in the collar helps keep you warm when the temperature drops, and the center-front reverse coil zipper is easily adjustable. 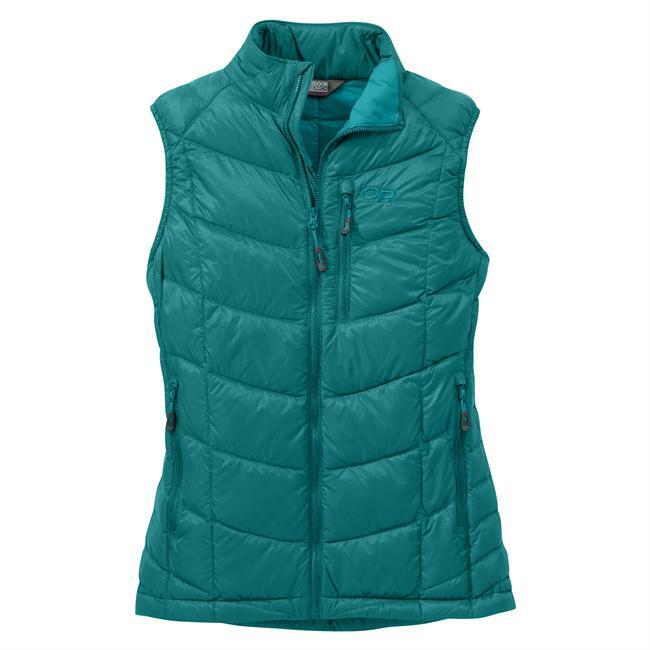 Whether you are camping, skiing, or just running errands, the Mountain Hardwear Women's Ratio Printed Down Vest will be your stylish, everyday go to piece. 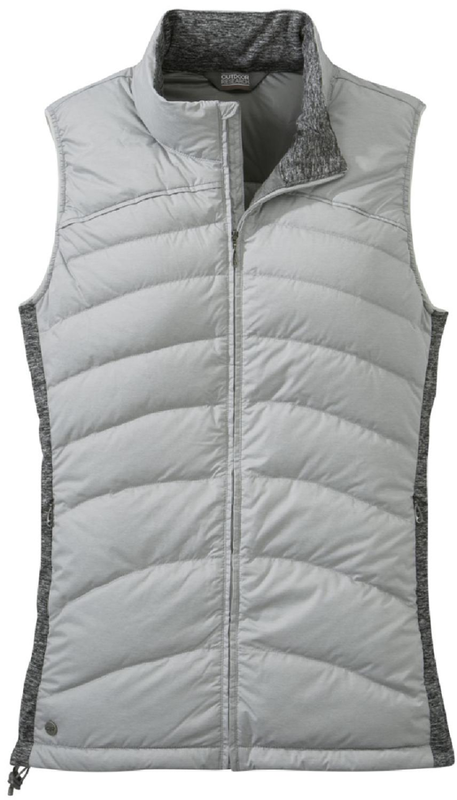 Whether you take it camping, skiing or just around town, this high-loft down vest is a versatile, stylish stalwart. Q.Shield Down 650-fill insulation retains critical loft and warmth even when wet. 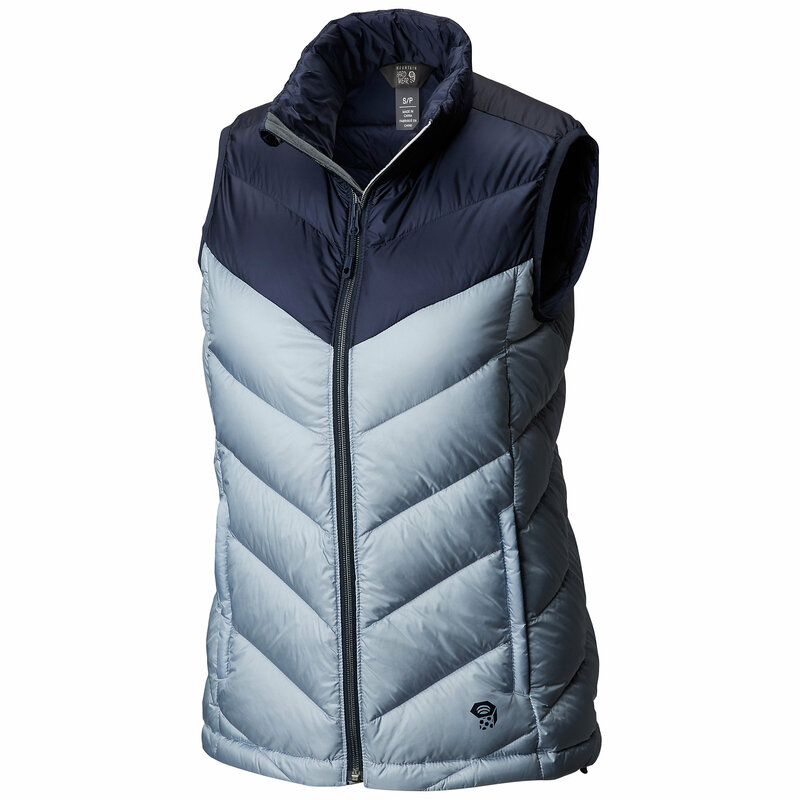 The Mountain Hardwear Ratio Printed Down Vest is not available from the stores we monitor. It was last seen December 1, 2018	at SunnySports.